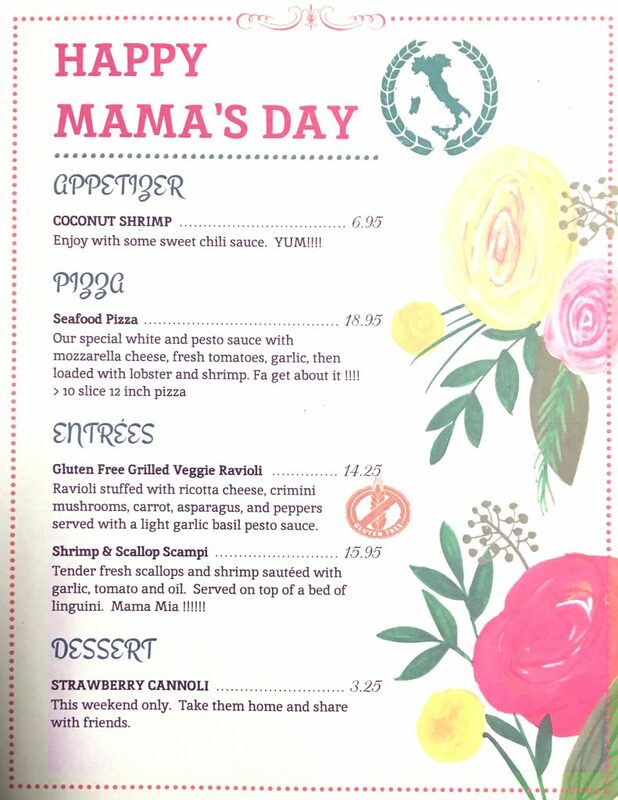 Pias Mothers Day Dinner Specials There is really no way to repay everything that our moms have done for us. 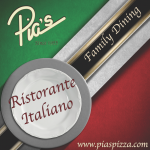 Don’t forget Mom and bring her out to Pia’s for a special home-made dinner. 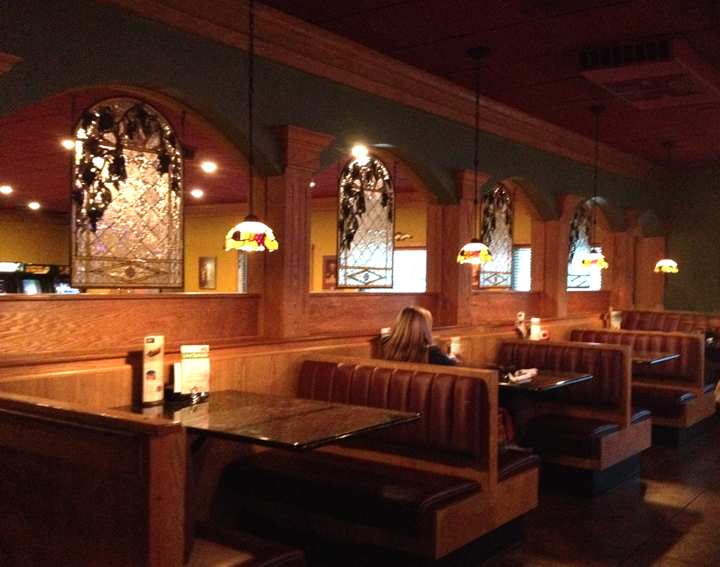 Pias Mothers day dinner specials are a great way to show your love and gratitude. 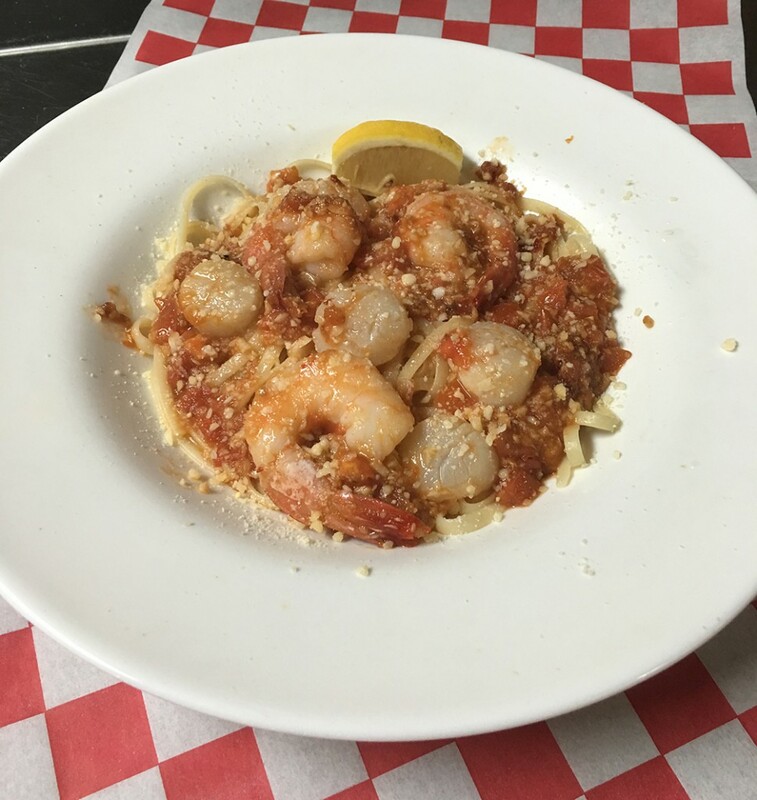 Scallop and shrimp scampi with a garlic tomato sauce and a touch of lemon. Part of Pia’s amazing Lenten Special Menu! Gluten free grilled vegetable ravioli with basil pesto sauce. Yummy!!!! Part of Pias special Lenten Menu. Great Italian Appetizer on Pias’ new dining menus Caprese pizza … olive oil, fresh garlic, fresh mozzarella cheese, tomato and fresh basil Caprese pizza can be made on gluten free dough too!! 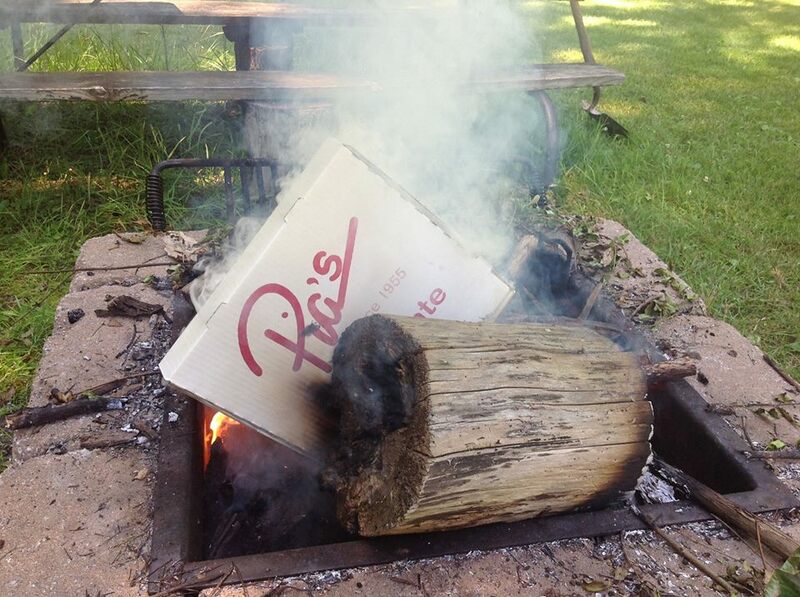 Photo Contest at Pias Pizza – Where is the box?? 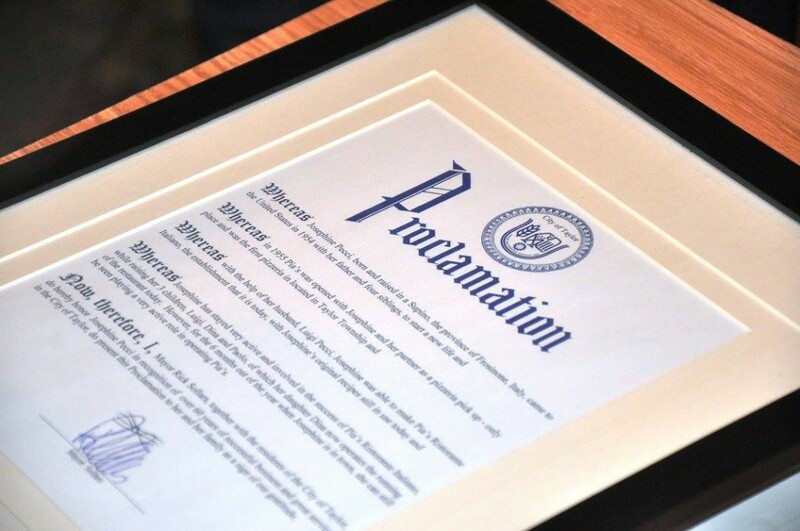 Congratulations – Pia’s Celebrates 60 years!!! For a limited time only we are serving Reuben Pizza – simply amazing!! 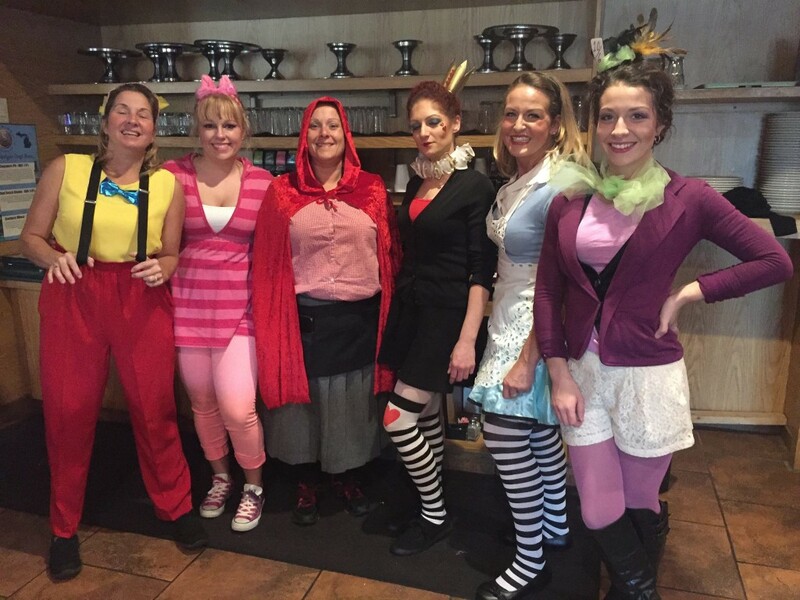 We also have Irish Creme Cannolis, and some other fun holiday specials. 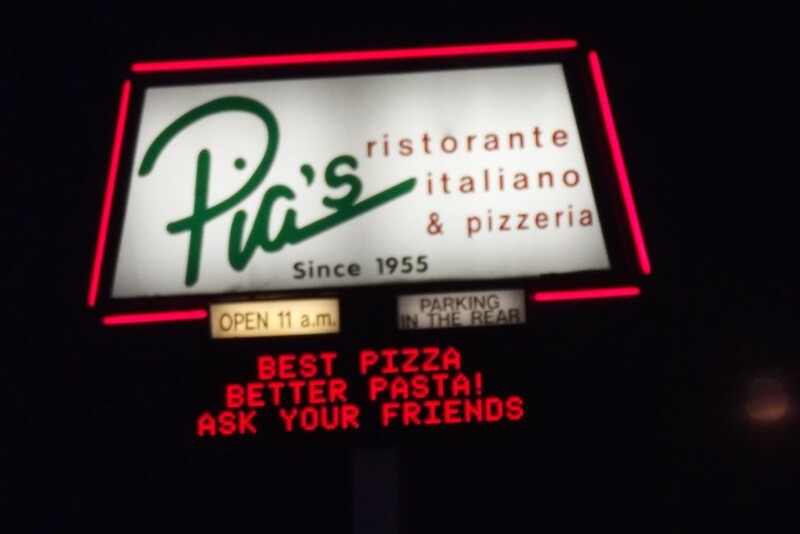 Pia’s Hours of Operation: Monday – Thursday 11 a.m. to 10 p.m. Friday – 11 a.m. – 11 p.m. Saturday – 1 p.m. to 11 p.m. Sunday – 12 noon to 10 p.m. We Accept: Visa, Mastercard, American Express & Discover Sorry No Checks Accepted. * Gift Certificates Available in any denomination.